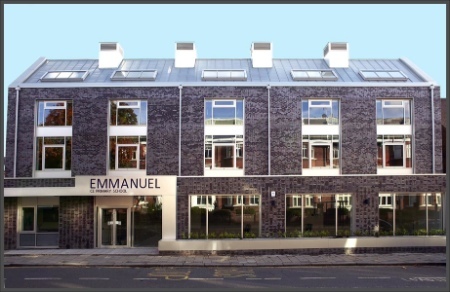 Emmanuel Church enjoys a warm and collaborative relationship with our Church of England Primary School in the service of the whole wider community of West Hampstead. Church of England Schools are not “faith schools” in the way that such phrases are commonly used in the media and elsewhere, but rather schools which exist for the whole wider community in all its diversity. Each week the whole school comes over to the Church for a celebration of the Eucharist and are often joined by parents and carers, friends and members of the community. As a Christian school, our inclusive Christian values permeate our curriculum and assemblies and parents and carers are ask to accept this when they choose Emmanuel School for their child. This essential inclusivity ensures that we are not doctrinaire or inappropriately proselytising and it is the right of every parent or carer to withdraw their child from acts of worship if they so wish. We rejoice that we live in a diverse and multi-cultural society and it is the policy of the school to teach children about other beliefs and traditions to enable them to be sensitive and tolerant towards those whose religion and culture is different from their own. We celebrate the fact that our school includes children from a wide variety of expressions of family life and the school has undertaken training with the charity Stonewall to reflect this wonderful diversity. We currently have two thirds of places for church places, which under the Emmanuel Church membership criterion which up until 2016 required participation in the life of the Church through an attendance of attendance at Emmanuel Church for a minimum of six times in each of the four quarters for twelve months at the time of application in January each year . Please note that when Fr Jonathan is asked to sign supplementary forms to confirm Emmanuel Church membership for school places, it is only the required attendance at Church which is taken into consideration and nothing else, whether that be financial contributions to the life of the church or in voluntary work. Following a recent public consultation and the determination of the Governing Body on 11 February 2016, the attendance period rose to twenty four months for admissions from September 2017 onwards. The remaining one third of places are offered simply on a distance criterion. Please note that the Governors gave due notice of this change on this website and the school website, in the church notice sheet and the verbal notices in church to allow applicants time to achieve the required church attendance at the time of application for Church membership places for September 2017. For further details of School admissions policy and criteria please click here. 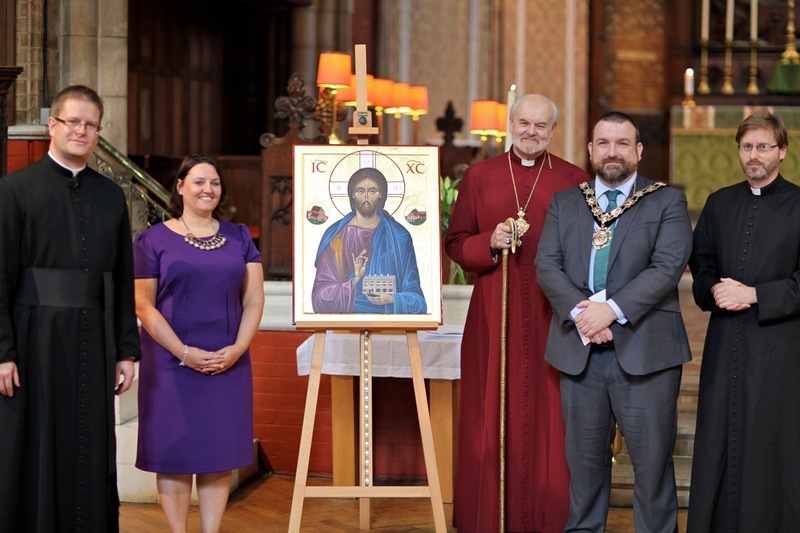 * The icon “Jesus of West Hampstead” blessing and welcoming all – holding the Omega Building in his hand, and depicting also the Alpha Building and Emmanuel Church was painted by Fr Regan O’Callaghan and commissioned jointly by the church and school for the opening of the expanded school by the Bishop of London and the Mayor of Camden during the autumn of 2013. Photographs below show (left) the Alpha (Early Years) Building being dedicated by the Bishop of London and (right) the Omega (main school) Building on the day that it was opened. Picture (left to right) showing Fr Jonathan Kester (Chair of Governors), Kathryn Fitzsimmons (Headteacher), the Rt Revd & Rt Hon Richard Chartres (Bishop of London), Councillor Jonathan Simpson (Mayor of Camden) and Fr Regan O’Callaghan (artist and iconographer).